Botanical Gardens of Moscow State University. 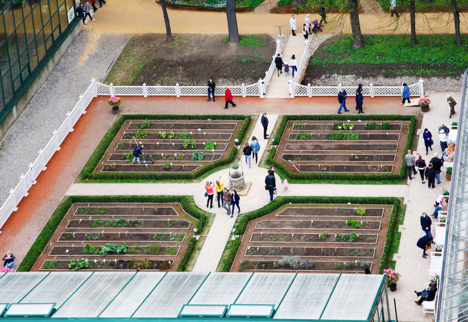 The Botanical Gardens of the Moscow State University are preparing to celebrate their 310th Anniversary. Alexey Reteyum, director of the “Apothecary Garden” of Botanical Gardens of Moscow State University and head gardener Anton Dubenyuk spoke about the present and the future of these gardens. Not all of our readers have visited these gardens. What is the most interesting thing here? A.D. The Apothecary Garden is the oldest botanical garden in Moscow, and a monument of the landscape-gardening art in Russia. The garden is organized based on the classical principle: plants from the same family are planted together in one section. The exhibitions are arranged in this vein; the “Heather Hill,” with its rhododendrons, Erica plants, and even blueberries planted together with cranberries. In late May – early June, when the rhododendrons are in bloom, this exhibition attracts special attention. There is also a medicinal herbs garden. About 160 species are grown here, organized in accordance with the original 18th Century layout of the garden. This garden is a true apothecary garden, filled with medicinal herbs. Then, there is the collection of magnolias and sakura. The exhibition “Conifer Hill” holds a collection of conifers from Eurasia and America. They are especially beautiful in the spring and autumn, when the foliage of conifers is shaded by the bright colors of flowering plants or yellow foliage. Located in the back of the garden is the old pond from the 18th Century. Today, it is home to a collection of aquatic plants, and hatching on its shores are ruddy shelducks. Crowning the landscape architecture is a meadow with a 200-year-old oak tree, right in the middle of the garden. This oak tree was planted by the first director of the garden, Georg Hoffmann. The oldest trees in this garden are about 300 years old. The Arboretum (an area of wooded plants on open ground - RIR) covers an area of four hectares and has 2,500 plant species. It contains plants of which the garden is especially proud; for example, tree peonies, the selection and collection of which began here, for the first time in Russia. You will be celebrating your 310th Anniversary next year. What are your plans? A.D. We have already created a project design for subtropical greenhouses. It provides for the establishment of a number of new exhibitions – subtropical rain forest, or collection of azaleas and, accordingly, holding of tours there. In addition, we are also planning to open a new hothouse and bring back Victoria amazonica plants (or Victoria Regina – the largest waterlily in the world - RIR), which in the 20th century was rightly considered as the pearl of our garden. A.R. In the near future, signage will appear in the gardens, where each plant will be assigned a special QR-code. After scanning the code with a smart phone, the visitor will be able to obtain detailed information about a particular species from our online directory. Do the gardens get many visitors? A.R. Attendance depends on the season, the weather and the cultural programme. The peak is in the spring, especially during the Festival of Colours, to which people love to come after the cold of winter. In those months, we can get more than 7,000 visitors daily. The numbers drop in late autumn – although eternal summer reigns in our greenhouses. A.D. Our programme consists of three major festivals. From March to the end of May, there is the Festival of Spring Flowers. In the garden, we plant thousands of bulbous plants; tulips, daffodils, and crocuses. We have the largest collection of bulbous plants, and in this sense, our garden can be compared to the Keukenhof (Royal Flower Park in the Netherlands - RIR). Next is the Colours of Autumn Festival, in September and October. At that time, one can see blooming many asters, heleniums, and sunflowers. At the same time, there is an exhibition of fruits called “Peace, Labour, Harvest”, which brings back memories of the Soviet times, with its exhibitions of agricultural achievements. Here 50 varieties of pumpkins, apples, and pears await visitors. Finally, in December and January, there is the festival of orchids, which presents orchids, bromeliads and many other interesting plants, including carnivorous ones. What else do you attract visitors with? I read that you hold fruit tastings. A.R. The most popular, oddly enough, are purely botanical things. Last year we held an exhibition called “Spring Rehearsal;” when the garden was still covered with snow, in one of the greenhouses, we tried to show people blooming daffodils, crocuses and tulips. It was a stunning success. The queues for this event stretched onto the street. Of course, tastings are really cool as well. We try to hold as many special events as possible. We recently held a tasting of rare species of grapes grown in the Moscow Oblast. For two days, we hosted capacity crowds. I believe that the opportunity to try fruits or vegetables brings more visitors to the gardens, which is great. A.D. Again, I would like to repeat, both children and adults will have something to see here. Another example, we have the oldest hothouse tree in Russia growing here – the Cycas revoluta (an evergreen tree native to Japan - RIR). Many people come to us after work or during their lunch break for 15-20 minutes – to recharge themselves with positive energy through communion with nature.